Starting Friday, April 1st, you can visit some of the finest restaurants in Downtown Detroit and get a 3 course meal for only $28 per person. The restaurants include 24Grille, Andiamo Detroit Riverfront, The Whitney, Wolfgang Puck Grille, Opus One, The Rattlesnake Club, and Coach Insignia. Detroit Restaurant Week ends on April 10th so go make your reservations now! Robert Half Finance & Accounting U.S.
Financial Analyst I- Great Entry Level Opportunity !!!!! Spring is here and Art Van Furniture is partnering with Metro Detroit’s largest magazine, StyleLine, to celebrate the season with a can’t-miss party, featuring the latest looks in fashion and furnishings. Nine of metro Detroit’s hottest designers will showcase their latest collections, while vying for a $2,000 gift card from Art Van to furnish their studio or office — and you’ll have a chance to vote for the winner. Meet and take photos with the designers and models, and enjoy free food, entertainment, and prizes, including a chance to win a premium mattress! You’ll also take home a copy of Art Van’s 100-page spring catalog filled with exciting new collections for your home. -- Joe Faris for Motor City Denim Co. This fabulous event is free, but you must RSVP by calling 888-619-2199 or register online at this link. 4/21 6 – 9 p.m.
Go to Northland Mall on Saturday April 9th at 2pm for lots of FREE fun including crafts, treats and an egg hunt that could win you a $50 Gift Card. 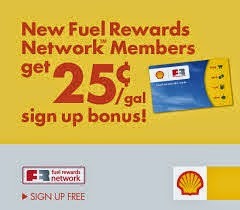 My son won the $50 Gift Card last year! Go to Eastland Mall on Saturday April 9th at 11am for lots of FREE fun including crafts, treats and a egg hunt that could win you a $50 Gift Card. FREE Home Depot Kids Workshop on Saturday April 2nd. The next FREE Home Depot Kids Workshop will be Saturday, April 2, 2010 from 9am to Noon at all Home Depot stores. Kids ages 5-12 will make a Planter/Basket. Get Your Praise On for FREE! 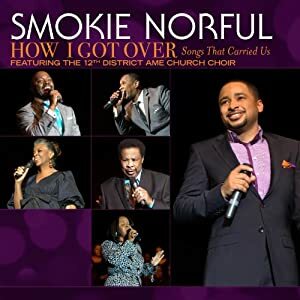 The Free Track of the week over at Walmart's MP3 Online Store is "Celebrate" by Smokie Norful from his new album (just released yesterday) called "How I Got Over...Songs That Carried Us". Bare Escentuals, the makers of bareMinerals, has introduced a new line of skincare that is free of parabens, artificial oils, and synthetic fragrances. Every item in this line is 100% pure RareMinerals ActiveSoil Complex, which according to bareMinerals is clinically proven to deliver faster cell turnover for noticeable smaller pores, increased luminosity and softer, smoother, younger-looking skin. 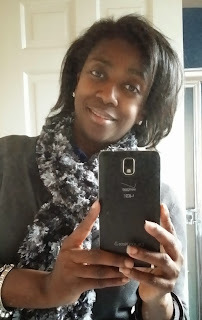 Cleanse - I was sent for review the bareMinerals Deep Cleansing Foam. It is advertised to deeply cleanse skin and lift away impurities while being non-drying. I found the Deep Cleansing Foam actually lived up to it's billing. My skin was clean, but not dry. And my oily T-zone was minus the oil. Moisturize - I was sent for review the bareMinerals Purely Nourishing Moisturizer. It is advertised to hydrate skin while improving firmness, elasticity, radiance and improving skin texture. I loved this moisturizer. It is very light weight but left my skin supple and young looking. This moisturizer also contains antioxidants to help protect my skin from the environment. Watch the video below that explains more about the new bareMinerals Skincare line and Follow Bare Escentuals on Facebook and/or Twitter. 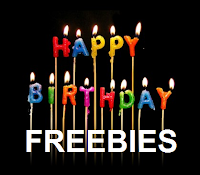 One FREEISMYLIFE reader will win a new bareMinerals Cleanser and Moisturizer. $48 Value. HOLLA to the FREE! - The contest ends on Friday, April 1, 2010 at 11:59am EST. - Products will be distributed to the winner by Bare Ecscentuals or their PR company. - You can get 1 extra contest entry for Tweeting the following message on Twitter "I entered the @FREEISMYLIFE giveaway to win bareMinerals skincare products from @BareEscentuals http://t.co/pkjqYkr "
Disclosure: I received bareMinerals skincare products for review. I was not compensated for this review. Random.org has spoken. Out of 180 entries, Random.org has picked #148. Congratulations to Heather T. of Hammonton, NJ. Another FREE Kindle Book For Ya! 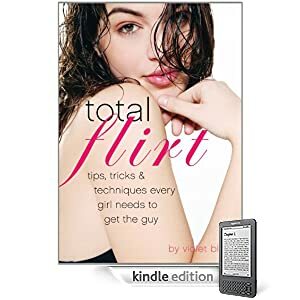 "Total Flirt is a guide we smart girls have been waiting for. Finally: A real flirting, pick-up arts, and hookup guide for girls who want to get what they want. Every woman: from the shy and nerdy to the brazen or even the girl who wants to know what to say to that hottie who makes her blood run hot. And keep the conversation going: At parties, in cafes, online, anywhere. It also teaches us how to turn the tables on guys trying to trick us with "mind control" techniques -- or even use their techniques to our advantage. I had a lot of fun telling you exactly how to use their "secrets" to get what you want. In the back of the book, I put instructions to get a free special bonus chapter by visiting thetotalflirt.com and entering a secret code (it's in the book!) 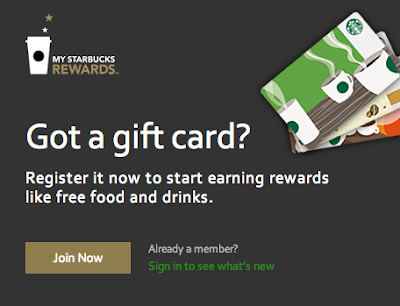 to get your prize - more essential flirting info, advanced tips, and more. Look for the Total Flirt app for Apple and Android, a "pocket wingmate" that guides you like a best friend through in-person flirting situations. I've had a lot of fun writing, researching and dreaming up smooth ways to make flirting and picking up hotties easy and super-fun. Remember: it's always better to be flirty than forgotten." Sounds like pretty good reading to me. As I always say about FREE Kindle books on Amazon.com, if you want this book, get it now because Amazon may raise it back up to the normal $12.95 price by tomorrow. FREE does not last long on Amazon. The movies "Black Swan" and "Tangled" are coming out on DVD this Tuesday, March 29, 2011. Before you buy, read the movie reviews on FREEISMYLIFE. Plot: At the New York City ballet a veteran dancer and an impressive upstart compete for the lead role in Swan Lake - but in this competitive world, finding the balance between light and dark can take its toll. Plot: Rapunzel has lived her life in a tower, but a passing bandit catches her eye and she finally leaves tower life behind to track him down. Meet Britney Spears and Watch Her LIVE in Concert in the City of Your Choice! Britney Spears‘ latest album Femme Fatale debuts on Tuesday, March 29th and AMP 98.7 FM is giving you a chance to watch the one and only Britney Spears live in ANY city on her new tour. Contest ends on April 14, 2011. While at the BlogHer10 conference in New York, I stopped by the Eucerin booth and met their spokesperson, super model Veronica Webb (who is orginally from the D). Veronica even gave me (and Detroit) a shout out on Twitter. Eucerin was giving out full sets of their products for us to try and I loved them. For a limited time, you can go over to the Eucerin Facebook Page and get a FREE sample for taking their pledge to put the health of your skin first. Go on over to Oakland Country Moms where Lisa is running a contest to win a two night stay at Avalanche Day Indoor Waterpark Resort. 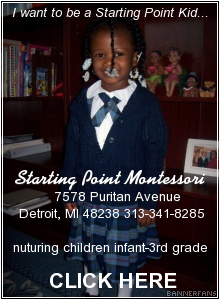 You have to to become a member of OaklandCountyMoms.com and "Like" her Facebook page to enter. All entries are due by 4/15. Mark Your Calendars for the FREE Cone Day at Ben & Jerry's! It's BACK! Go to your local Ben & Jerry's on Tuesday, April 12th for your FREE cone. This FREE is YUMMY in your TUMMY! When I agreed to do a review of Coaches Corner Sports Bar & Grill, I actually had to look up the address because I didn't know where it was located. Now as a die heart Detroiter, I was surprised that I did not know that a restaurant existed in my old stomping ground, but I am very happy that I have now made its acquittance. Coaches Corner is in a section of downtown Detroit that I grew up knowing well. When my mom would take my sisters and I downtown to go shopping, she would allow me to put the coins in the meter at our parking spot in Harmonie Park and we then would walk the two blocks down Broadway to the old J.L. Hudsons store on Woodward. Over the years, the storefronts doing business in Harmonie Park have changed many times over and Coaches Corner is at a location on the corner of Centre and Grand River that has had as many lives as a cat. I remember it being an art gallery and a few different eating establishments. But it appears that the location's close proximity to Ford Field and Comerica Park and this restaurant's hearty game day menu has made for the perfect combination of factors that has allowed Coach's Corner to thrive and grow at this spot for the past 5 years. I visited Coach's Corner for lunch with Laura from LauraInTheMortorCity.com. It was one of the first beautiful days in Detroit and we picked a table by one of the huge picture windows so that we could sit in the sun. As we were looking at the menu, Heather, the manager of Coaches Corner came over and introduced herself. One of things that struck me about Heather was her exuberance. We could tell that she truly loved her job. She told us that Coaches Corner was gearing up for the Detroit Tiger's Opening Day. And the restaurant is doing so well that they are in the process of filling an additional 23 new positions. There is no better news a Detroiter can get than to find out that a business is doing so good that they can put even more Detroiters to work. After meeting with Heather, we turned our attention to the menu since we were really hungry. The Coaches Corner menu is full of the kinds of game day food that sports lovers require and we were ready to dig in and try some for ourselves. We started out with the breaded Chicken Strips which were served with a wonderful ranch dipping sauce. The chicken was excellent and Laura was loving the dipping sauce so much that she asked our server about it. Turns out it is a special combination produced by Niki's Restaurant in Greektown. For my entree, I had the Coaches Grand Slam Burger which, I am not lying, covered my entire plate. I actually had to cut it in half in order to manage it. This burger is a 1/2 lb Angus beef cooked with a special house sauce, topped with bacon, a large onion ring, a queso bite, lettuce, tomato, pickle, Swiss cheese and a ton of beautiful golden fries. It was massive, it was delicious, it was decadent - and I loved every bite. Laura had the Greek Salad with Chicken which contained lettuce, feta cheese, beets, diced tomatoes, kalamata olives, pepperoncinis, red onion, lightly breaded chicken strips and more of that Niki’s famous Greek Dressing. She commented many times over as she dug into that salad how delicious it was. It was wonderful to just sit in the sun and enjoy our meals and watch the people walk by. The whole meal was excellent and I see why this place is packed on game days. Our server of course had to bring us both doggy bags since we could not eat everything. Make sure to follow Coaches Corner on Facebook where you can save money on your visit by following their daily specials. You can also get 20% off your food bill until August 9th for 3 check-ins on Foursquare. Six FREEISMYLIFE readers will each get a $25 Gift Certificate to Coaches Corner to try all this goodness for themselves. HOLLA to the FREE! - The contest ends on Monday, April 4, 2010 at 11:59am EST. 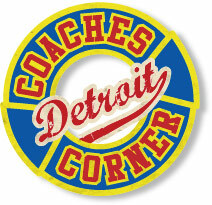 - The winners must live within driving distance of Detroit's Coaches Corner Bar & Grill. USA addresses only. - Coaches Corner gift certificates will be distributed to the winners via U.S. mail. - You can get 1 extra contest entry for following Coaches Corner on Facebook. Write on their wall "I heard your burgers are as big as my car ;)". 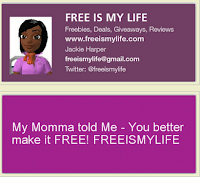 - You can get 1 extra contest entry for Tweeting the following message on Twitter "I entered the @FREEISMYLIFE contest to win a @coachesdetroit $25 Gift Certificate http://t.co/lUBfvNe"
Disclosure: I and Laura received complementary meals for the purpose of writing this review and stating my unbias opinion. I was not compensated for this post. Go and get your EAT ON at a Good Price until April 2nd! Royal Oak Restaurant Week is a nine-day event that started yesterday to showcase some of Royal Oak's best dining establishments including Andiamo, BlackFinn and more. Each participating restaurant will offer special discounted rate 3 course menus for either $15 or $25. No reservations are required, but are suggested.